On March 20, Tibetans voted to elect a new prime minister of the government-in-exile headquartered at Dharamshala. This contest assumed significance as the Dalai Lama stuck to his decision of quitting as the political head of the community. Awaiting Tibet's verdict, Harvard law scholar Dr Lobsang Sangay, the frontrunner in contest that also features Tenzin Namgyal, a Stanford teacher and Tashi Wangdi, speaks to Sriram Bala about the Dalai Lama, the threat from China and how India's cricket World Cup victory has given hope to the Tibetan cause. How do you feel about contesting the Tibetan elections? I am eagerly awaiting the results since the reaction of the public during the campaigning has been largely positive. It was a very healthy and amicable campaign since I am on good terms with my other competitors and have great respect for them. You are educated at Harvard, arguably the best university in the world. What drove you to run for the Tibetan prime minister's post? My ancestors were martyrs fighting for the Tibetan cause. My goal is to continue the legacy of my family in supporting the Tibetan movement. Harvard has provided me the educational merit, an opportunity to enhance my interactions with the rest of the world and a foundation to pursue my goal. The innate desire to contribute to the Tibetan cause has been my aim in life. Coming to the point, what is your approach towards China going to be? What are the measures that you are going to take to liberate Tibet from the Chinese? From a broader point of view, I would continue and follow the middle-way policy maintained by the current administration. The focus would be on seeking genuine autonomy from China via dialogue with the help of the international community. Despite the current stalemate, I am confident that a peaceful dialogue is the way forward. If rumour mills are to be believed, China plans to select its own Dalai Lama. Your comments. This is a futile attempt. It is like Fidel Castro appointing the next Pope. There is no historical legitimacy nor credibility for the Chinese to appoint a spiritual leader of the stature of the Dalai Lama. The power of the people is such that they will not accept such a leader even if China were to appoint one. It's high time they understand that religion is a matter of faith, you cannot buy it. How close are you to the Dalai Lama? Has he given you his blessing for your campaign? I do have his blessings. The Holiness has been a guiding light for the nation for generations. We do not have blind faith in him. 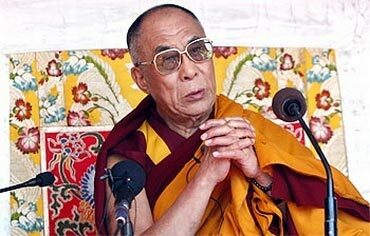 His brilliant leadership and vision has saved Tibet and propelled it into the 21st century giving it global recognition. Critics claim you have spent too long a time away from your homeland. How do you react to that and how will you establish the connect? I travel very often to my homeland only to maintain a very strong connect. I travel extensively across the world spreading the Tibetan cause because Tibetans are spread across 30 countries. Moreover, I appear on radio programmes with Radio Free Asia to establish a direct connect with the people. Indians have shown concern over the cross-border interference from the Chinese in their territory. Your comments. It's not just Arunachal Pradesh, but Sipot in Burma and even Nepal that have been affected by the Chinese due to their inference via land, sea and air. 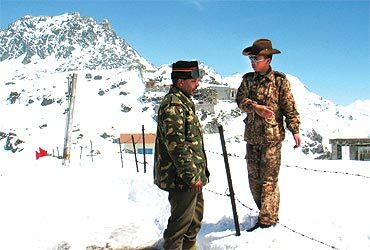 It's very unfortunate that Indians need to spend so much on border security because of China. It's in the best interests of everyone to stop this infiltration into India. In fact, before our occupation in 1959, India to my knowledge had very little border patrol. What is your view on the Indian people and the Indian government? The Indian government, irrespective of whichever party, has been very supportive of the Tibetan movement. The warmth and cooperation provided by the Indian authorities is something we treasure and appreciate a lot. We would like to receive a more robust and consistent political support from the international community. The Indian authorities had questioned Karmapa Lama in relation to money laundering. There are suggestions that he is a Chinese spy. These accusations have caused a stir among the Indian public. Your comments. The case involving the Karmapa has been over-sensationalised by the media. 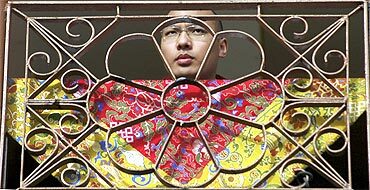 The fact is that Karmapa Lama is innocent and even the Indian government has absolved him of not being a Chinese spy. After our own introspection, we feel he is innocent. Tibetans all across the world have a lot of respect for him and these allegations will be nullified since they are not true. What will be your message to the people of India if you are elected as Tibet's PM? India is like a second home to me since I was born and brought up there. Tibetans have immense gratitude for India, especially for their hospitality. I admire the contribution of India to Tibetan history and India's multi-culture fascinates me. The Tibetan connect is so much with India that when India won the World Cup, we felt as if we won it. We are so inspired by the hard work of the Indian cricket team. The victory came after 28 years and this has given hope to the Tibetan movement.